BUT I am on board with early shopping so that I can avoid the crowds. And if I can steer clear of the mall all together at holiday time I am totally down with that. But that means shopping early so that everything makes it to me in time to wrap and keep safe under the tree till the big day. 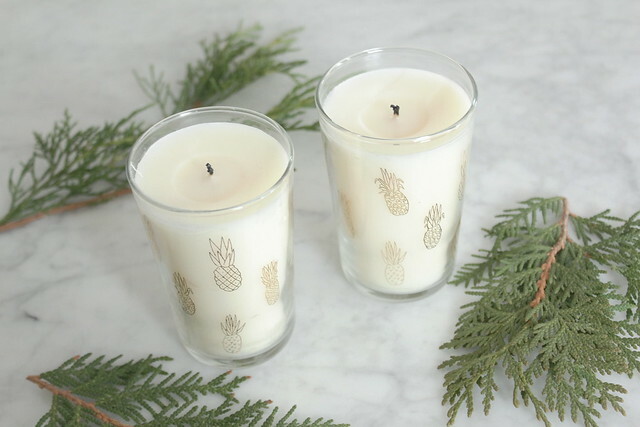 The start of November is when I try to tackle my list online and get it done, so I've been checking out my options and decided to play it safe and order multiples of a few of my favourite things as stocking stuffers for my favourite people. I totally sound like the less exciting, and much lower budget Oprah LOL. 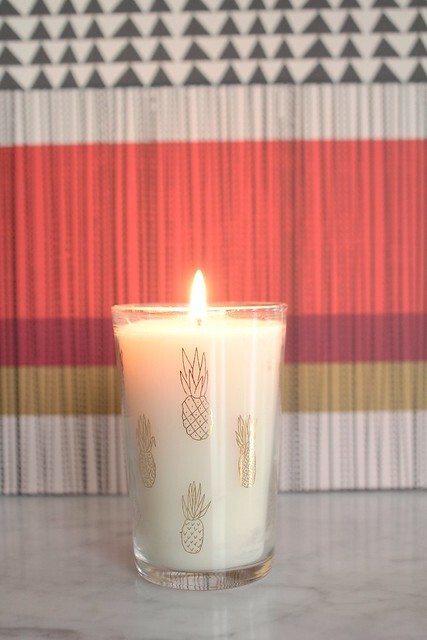 A long time favourite item is my trusty Rosie Jane candles, so I was thrilled to hear she did a holiday set this year! 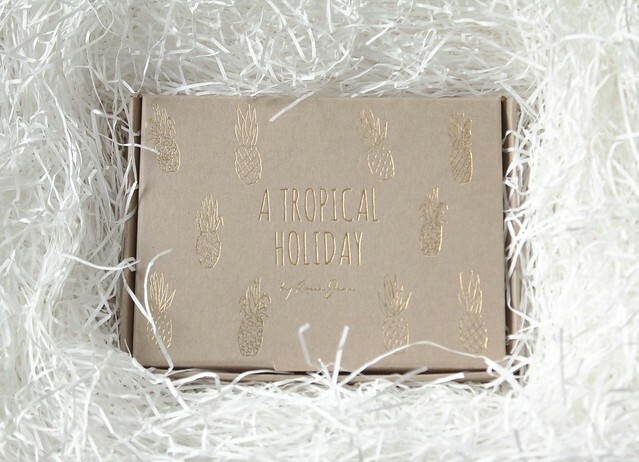 A tropical holiday set with little hand sketched pineapples on the glasses, and the cutest box that shows why pineapples are a sign of good hospitality. So, sorry for the spoilers people I am giving these to! I just can't keep a good secret.